Dr. Eric J. Furst always appreciates feedback from his valued patients. To date, we’re thrilled to have collected 15 reviews with an average rating of 4.93 out of 5 stars. Please read what others are saying about Dr. Eric Furst below, and as always, we would love to collect your feedback. Dr. Furst performed a routine examination of my nostrils. We also discussed laser treatment for my facial rosecia. He was thorough and has a calm manner in relating to his patients. Dr Furst is very knowledgeable about the way he guide me through my not nice experience with vertigo. Yes, I recomend this doctor. Dr Furst-put Healthand the patient first. By not encouraging an unnecessary surgery. His honesty was a relief and very much appreciated! Dr. Furst has bed my ENT Physician for tweny years. He is always friendly and welcoming with a wealth of knowledge on many topics. Dr. Furst will continue to be my ENT Doctor for as long as he is operating his medical practice. I was extremely satisfied of my visit with Dr.Furst and his Professional Staff, will definitively recommend his practice. This was my first visit and Dr. Furst and his staff were very professional, informative, and did not rush my visit. I have been to a few ENT doctors in VA and in different states. I had an aggressive surgery done by a local doctor which Dr. Furst is helping me recover and resolve. Not only he is an expert in his field but also he is very honest and trustworthy. He is one of the few ENT doctors who does not push surgery on you and looks all alternatives before recommending surgery. He has excellent bedside manners and always takes his time to listen to you and explains clearly what is going on with you. Hands down Dr. Furst is the best ENT doctor in town. I wish I had gone to Dr. Furst for my surgery. Dr. Furst is very professional, thorough, and friendly! The most professional office from check-in to check-out. I was very impressed with the professionalism of Dr. Furst and Connor's office. Nice guy, took the time to explain everything in layman's terms. Enjoyed talking with him and look forward to my next visit. He is very good at his craft. Dr. Furst is a delight. He listens to your complaints. He acts quickly in helping to result your problems. He explains your situation and prescribed help. I would recommend him to one and all. His staff are kind and helpful also. 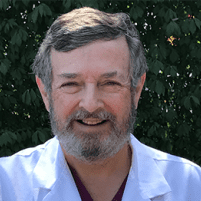 Dr. Furst was professional,knowledgable, and caring. He resolved my issue in one visit. Would go back to him if needed.